Michael Pepa has composed some 80 works for solo instruments, chamber groups, and orchestras. Most have been commissioned and broadcast in Canada as well as in the U.S., Netherlands, France, Italy, Austria, Serbia, Croatia, Hungary, Ukraine, Bulgaria, Romania, Moldova, and Japan. His music has been performed by international groups such as the Filarmonica Banatul Timisoara, Romania; National Philharmonic of Moldova; Lviv (Ukraine) Philharmonic Society; Academic Chamber Orchestra "Lviv Virtuosos"; Orpheus Chamber Orchestra of Bulgaria; Hungarian Philharmonic Chamber Ensemble, Budapest; Utrecht's Conservatorium Orchestra, Netherlands; CANTUS ENSEMBLE of Zagreb; SOUNDSTAGE CANADA at the Zagreb Biennale ('81) of Contemporary Music. Pepa's music has been performed many times in Toronto, Montreal, Ottawa, Winnipeg, Brandon, New York, Los Angeles, Chicago, Philadelphia, Paris, Utrecht, Vienna, Zagreb, Belgrade, Budapest, Chisinau, Sofia, Pernik, Lviv, Kyiv, Bucharest, Timisoara, and elsewhere. Notable international artists such as Claire Bernard, Gabriel Popa, Alexandra Gutu, Jovan Kolundzija, Nada Kolundzija, and Canadian artists Scott St. John, Martin Beaver, Barry Shiffman, Lynn Kuo, Erika Crinó, and Rivka Golani have included Pepa's works on their programmes. St. Lawrence Quartet commissioned two of Pepa's four quartets and in 1996 premiered Quartet No. 4 in Paris, France. In January 2003, Lynn Kuo gave the world premiere of Pepa's Metamorphose I, a work for solo violin written for her. CBC Radio broadcast her performance. April 2003 marked the world premiere of its chamber orchestral version, Metamorphose II, with Lynn as soloist and Canadian Sinfonietta conducted by Tak-Ng Lai. In October 2003, Metamorphose II was performed by Miss Kuo and BRANDON CHAMBER PLAYERS in Brandon, Manitoba, with the composer conducting. Variations for Piano and Chamber Orchestra was commissioned by the Canadian Sinfonietta. It was premiered at the Glenn Gould Studio in Toronto on January 22, 2005 with pianist Angela Park for whom it was written. Metamorphose I continued to enjoy success. At its U.S. premiere on April 25, 2004, L.A. violinist Claire-Jeanne Martin dazzled the audience to a standing ovation. Fantaisie bohémienne, was written for Miss Martin who premiered it in Toronto on January 23, 2005 with a subsequent performance in Los Angeles, on January 30, 2005. Michael Pepa's international activity included a tour of the Balkans in October and early November of 2005. He was a guest of The 37th Belgrade Music Festival - BEMUS - where his Waltz of The Mystic Bird (2005), a work for solo piano, received its premiere. The well-known Belgrade pianist Nada Kolundzija performed it. Canadian violinist Lynn Kuo performed Fantaisie bohémienne with Belgrade pianist Natalija Mladenovic on TRIBINA, XIV International Review of Composers, Belgrade, Serbia. The two performers included the work on a recital in Belgrade at which Miss Kuo also performed Metamorphose I for solo violin. The recital was repeated in Timisoara and in Bucharest, Romania. The pianist on these occasions was Valentina Kohonicz from Romania. Canadian Ambassador F.D. Pillarella hosted the Bucharest concert. The final concert of the tour was in Pernik, Bulgaria, where Lynn Kuo performed with the Orpheus Chamber Orchestra, conducted by Raitcho Christov, the orchestrated versions of Metamorphose I (Chorale Partita) and Fantaisie bohémienne. Nadja Christov was the pianist for this performance. Lynn Kuo and Michael Pepa's tour was made possible by a grant from the Canada Council for the Arts. Pepa's work, Squamish, for violin and electroacoustic sounds (realized by Dennis Patrick), was premiered in June 2006 at the SoundaXis festival in Toronto. Touring through Austria, Hungary, Serbia, Bulgaria, Romania, and Croatia, Les AMIS Ensemble, under the artistic direction of Michael Pepa, presented an all-Canadian programme to numerous European audiences with great success in April/May of 2007. The world premiere of Michael Pepa's Katajjaq, written specifically for Les AMIS Ensemble (Lynn Kuo, violin; Lori Freedman, clarinet(s); Rachel Mercer, cello; Joseph Macerollo, accordion; Marianna Humetska, piano) to perform on tour, was officially presented at the Music Biennale Zagreb Festival in Croatia. Katajjaq, which means throat-singing in Inuktitut, is a quintessentially Canadian work, featuring icy depictions of the harsh Canadian North inspired by Michael's visit to Nunavut. The tour also featured: MUTATIONS for cello and strings – Rachel Mercer with ORPHEUS CHAMBER ORCHESTRA of Bulgaria, conducted by Raitcho Christov (Pernik, Sofia); Squamish – Violinist Lynn Kuo (Belgrade); Moldovenesca – Lynn Kuo, violin; Lori Freedman, clarinet; Marianna Humetska, piano (Bucharest); Moldovenesca and Fantaisie bohémienne – Lynn Kuo, violin and Marianna Humetska, piano (Budapest). 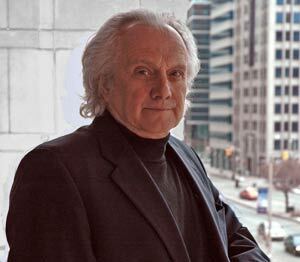 INVOCATION II, commissioned by the CANADIAN SINFONIETTA for cellist Winona Zelenka, was premiered on May 12, 2007 at the Glenn Gould Studio in Toronto. "Add brass, trumpets and trombones to the stage, and the highlight of the concert appears: the world premiere of Michael Pepa's ISOMORPHE II for mezzo-soprano, violin, accordion, and ensemble (2008). The soloists are outstanding. Lynn Kuo's violin is dramatic, both rousing and melancholy: Joseph Macerollo's accordion blends beautifully into the depths of the ensemble, engaging the richly textured brass and percussion parts. The brooding tension and explosions of violence that are developed in this innovative and exciting piece of music are lulled towards the end by the crying from the heart quality of mezzo-soprano Katarzyna Sadej's warm prayerful tones." In April 2009, Michael Pepa embarked on a tour of Eastern Europe with the Penderecki String Quartet and Les AMIS Ensemble. The focal point of the tour was, once again, Music Biennale Zagreb. Pernik and Sofia, Bulgaria; Belgrade, Serbia; Timisoara, Romania; and Budapest, Hungary were also included on the tour. Pepa's Squamish, Rhapsodie des Danses Populaires, String Quartet No. 4, ISOMORPHE, and Fantaisie bohémienne were successfully performed. The tour was generously supported by the Canada Council for the Arts, Ontario Arts Council, and the SOCAN FOUNDATION. Michael Pepa's Violin Concerto was written for the Filarmonica Banatul Timisoara and violinist Gabriel Popa and was premiered on September 24, 2010. On the same programme, Liliane was premiered and performed by mezzo-soprano Katarzyna Sadej. Pepa is grateful to Canada Council for the travel grant to attend this concert. In 2012, Michael Pepa was on tour in Japan. Two concert programmes entirely of his music were staged in Matsue and Tokyo. Japanese artist, violinist/violist Yasutaka Hemmi and harpist Takayo Matsumura were the performers. In September 2012, Violin Concerto received its 2nd performance with Romanian violinist Gabriel Popa and Conductor Radu Popa. On the same concert, Canadian pianist Marianna Humetska premiered Pepa's Piano Concerto. This concert was repeated in Lviv with the same artists but with the Lviv Philharmonic Society. Note that Canada Council supported the tour with a travel grant for this premiere. In 2013, Pepa and members of Les AMIS ensemble, violinist Lynn Kuo and pianist Erika Crinó, were invited by the Canadian Ambassador in Zagreb to present a concert of Canadian music at the Canada Week Celebration, marking the 20th anniversary of diplomatic relations between Canada and Croatia. Les AMIS performers were joined by the Zagreb Woodwind Trio. The programme included a work by Croatian composer, Berislav Šipuš. Zagreb Woodwind Trio returned the favour by visiting Toronto and Montreal with a program of works by Croatian and Canadian composers. In 2014, Japanese duo, Violinist/Violist Yasutaka Hemmi and Harpist Takayo Matsumura visited Toronto and Montreal with a programme of Japanese and Canadian contemporary music. Pianist Erika Crinó was their guest artist. The same year, Filarmonica Nationalā "Serghei Lunchevici" of Moldova presented a concert of music by Romanian composers. Romanian conductor Radu Popa and Romanian violinist Gabriel Popa were guest artists. Pepa's Violin Concerto was included on the programme. The success of that performance initiated the invitation for the performance of Yakami on June 9, 2016, at THE DAYS OF NEW MUSIC, International festival, Edition XXV, CHISINAU, JUNE 4 – 12, 2016. At Music Biennale Zagreb, Festival of Contemporary Music, MBZ'15, the Penderecki Quartet performed Pepa's String Quartet No. 1. In the same year, President Ivo Josipović awarded Mr. Pepa with a national award, REDOM DANICE HRVATSKE S LIKOM MARKA MARULIĆA. This is a cultural award in recognition of Pepa's contribution to the promotion of Croatian music in Canada and presenting music by Canadian composers in Croatia. Michael Pepa studied composition with Dr. Samuel Dolin at the Royal Conservatory of Music in Toronto from which he graduated with an ARCT diploma. Having passed the necessary examinations in the Theory and Practice of Composition, he was admitted FELLOW (FTCL) of Trinity College of Music, London, England. He holds a Teacher's diploma in the Art of Violin Playing (LTCL) from the same college. Mr. Pepa is also a graduate with a degree of Master of Arts in Music Education. Michael Pepa (1939) was born in Timisoara, Romania: he came to Canada in 1953, settling in Toronto with his family. He has lived in Cobourg, Ontario, since 2014.